Say what you want about the Porsche Cayenne, but this now-ubiquitous luxury SUV has pretty much single-handedly driven the German automakerâ€™s sales through the roof over the past decade or so. Yes, the mid-size luxury crossover â€“ which shares its platform with the current Volkswagen Touareg and Audi Q7 â€“ is easily the posh brandâ€™s most popular offering around the globe. And it has managed this sales explosion in market conditions that have seen many an automotive accountant furiously chewing on the back of his biro (the diamante fountain pens were auctioned off long ago, you see). Of course, mainstream luxury manufacturers â€“ such as BMW, Mercedes-Benz and Audi â€“ have been building upmarket SUVs for quite some time. But now it seems most of the traditionally low-volume marques want a piece of the all-wheel drive action, too. And, when considering what the Cayenne has done for Porsche, one can hardly blame them. 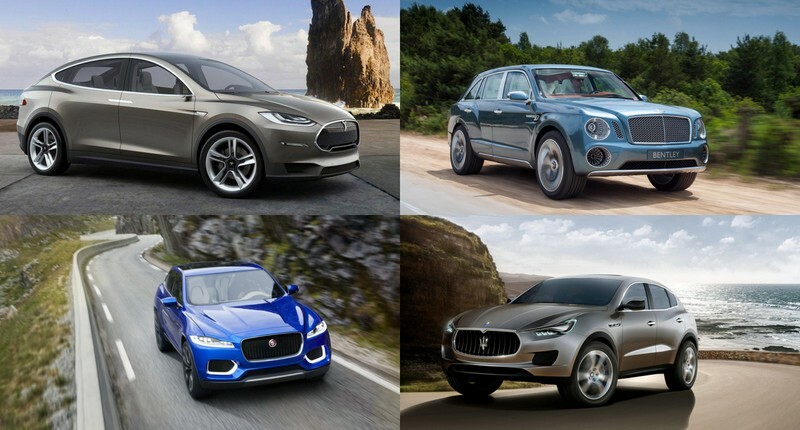 So, letâ€™s take a look at four upcoming luxury crossovers that will be â€œSUV firstsâ€ for their respective builders. Youâ€™ll notice that we havenâ€™t included the absolutely madcap Lamborghini Urus, which is expected to go into production in 2017. Why? Well, the automaker already has an SUV to its name: the LM002 from the late â€˜80s and early â€˜90s. In addition to the four vehicles outlined below, we expect Rolls-Royce and Aston Martin to join the SUV party sooner rather than later. But, in the meantime, the two British automakers have been excluded from this list since they’ve yet to confirm any concrete plans. Back in 2011 in Frankfurt, Italian automaker Maserati dramatically whipped the covers off the Kubang concept. 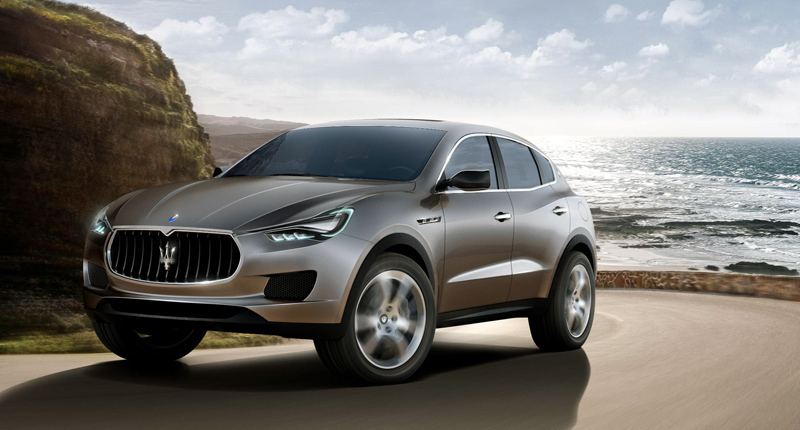 And the Levante â€“ which is scheduled to go on sale towards the end of 2015 â€“ will be the production version of this showcar, and ultimately Maseratiâ€™s grand entrance into the luxury SUV market. Rumour has it that the chunky Levante will employ a range of forced induction engines, including a twin-turbocharged 3.0-litre petrol V6, a twin-turbocharged 3.8-litre petrol V8 and a 3.0-litre V6 in turbo-diesel flavour â€“ each linked to an eight-speed automatic transmission. As one would expect, the Levante will also boast an all-wheel drive system â€“ and thereâ€™s a real possibility that Maserati engineers will pull in sister brand Jeep for some help in the â€œrough stuffâ€ department. Expect the big SUV â€“ which will be lovingly bolted together at the Mirafiori factory in Turin â€“ to feature the usual array of luxury gadgets. The Bentley what, you ask? Yes, the British luxury automaker says it decided to name its first SUV after Roque Bentayga, a rugged mountain peak in the Canary Islands. Regardless of your feelings on the moniker, you canâ€™t deny that Bentley is in the perfect position to launch a sumptuous crossover thanks to its station in the Volkswagen Group. 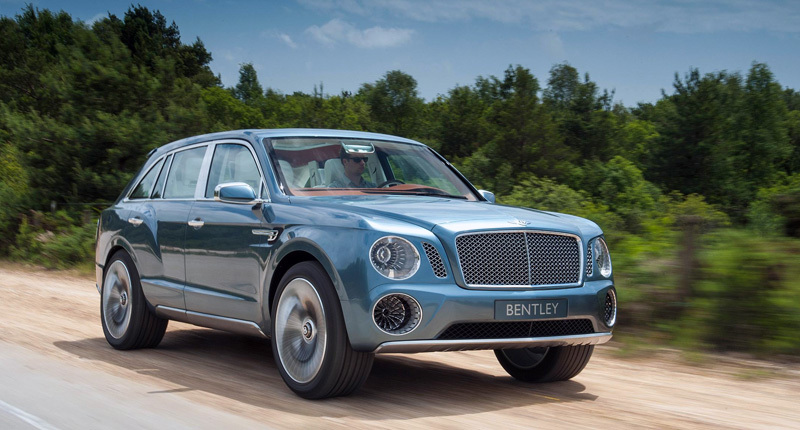 The Bentayga â€“ drawing inspiration from the EXP 9 F concept â€“ is due to hit showrooms some time in 2016, and will likely be offered with a variety of engines, including that familiar stonking 6.0-litre W12 mill. A 4.0-litre twin-turbocharged V8 is also a distinct possibility, while the brandâ€™s boss has already confirmed he is keen on adding diesel and plug-in hybrid options (two more firsts for the marque). 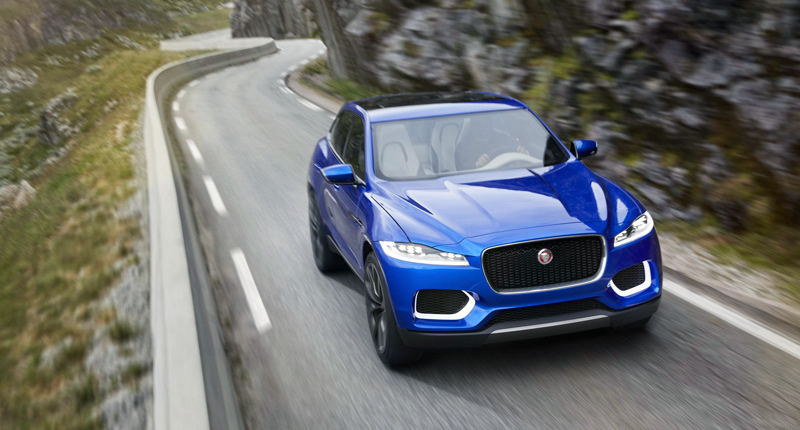 Jaguarâ€™s F-Pace â€“ which apparently came close to being called the X-Type â€“ will go into production in 2016, having been previewed by the C-X17 concept in 2013. The British automaker has billed the newcomer as a â€œfamily sports carâ€ in an apparent attempt to set it apart from sister brand Land Roverâ€™s more rugged offerings. The F-Pace appears to be rather compact, and will thus probably compete against the likes of the BMW X3 and Audi Q5. Reports have suggested that it will be powered by forced induction 2.0-litre engines in both petrol and diesel flavours, with a supercharged 3.0-litre petrol V6 doing duty as the flagship. The cabin is said to borrow numerous bits and bobs from the new Jaguar XE saloon, which will also serve as a platform donor. Oh, and F-Pace is set to be proudly British, with the automaker announcing that its production will help create around 1300 new jobs at its West Midlands factory. Splendid. Tesla unveiled its SUV prototype in early 2012, stating that planned production was expected to start in 2013. Of course, this didnâ€™t ever happen, and Elon Muskâ€™s US-based company instead announced that it had decided to focus on â€œprofitabilityâ€. Another delay or three followed, but the latest news is that Model X deliveries will kick off towards the end of 2015, with most of the 12 000 customer reservations expected to be honoured deep in 2016. 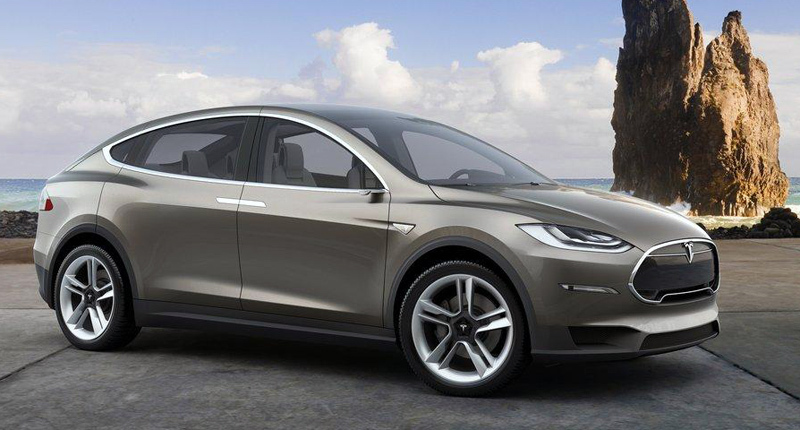 When the Model X eventually does become a production reality, it will, of course, be as an all-electric SUV. And itâ€™ll apparently keep the wacky â€œfalcon wing doorsâ€ that debuted on the original concept. The vehicle will employ a lithium-iron battery pack, with the range-topping P85D performance model expected to complete the dash to 100km/h in somewhere around four seconds. Interestingly, Tesla says the seven-seater SUV â€“ which will share plenty of parts with the Model S â€“ will also be the first electric vehicle with decent towing capability, lending the upcoming all-wheel drive Model X some valuable lifestyle credibility. Now, all that we have to do is waitâ€¦ again.